One of the most common questions that clients tend to ask at their initial consultation is “How do I prepare for my session?” This is one of the most important topics that must be discussed because if you don’t prepare or if you do something wrong you can actually cause damage to your own skin. Here are a few tips to get you started so that you know what to do the day of your Diode laser hair removal session. 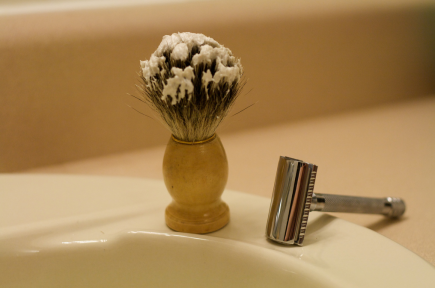 Shave– It’s important to shave the day of your appointment because if there is hair on the skin the laser can singe it. This can be very painful and the hair can burn and damage your skin. Get Clean– It’s imperative that you don’t use any product whatsoever on the area that you want to work on. The laser is attracted to many chemicals- including alcohol and will instantly burn through them on contact. Be sure to not use product on the surrounding areas either because as you move the product may rub onto other areas that it shouldn’t touch for the time being. If you’re sensitive and want to use a topical numbing cream, it’s ok to do so. Shower– Sounds easy enough but you’ll be amazed at how many people skip this step because they shower at night or want to take a bath after their appointment. The reason that it’s important to shower the day of the treatment is because you want to make sure that you rinse away any sweat, lotion, oils, deodorant or other residue from your skin because once it comes into contact with any of them, all of these things can and often times will cause burning to occur. In addition to this, it’s highly important that you shower after you’ve spent time working out for the very reasons just stated. Numb Up– Many people find that they don’t have to numb their skin when doing laser, however if you’re very sensitive or if you’re working on a tender area then you may want to use a topical numbing cream to ease the pain. Be sure to apply a thick layer of the cream onto the skin and cover it properly an hour before the session for best results. Talk to your laser technician in advance to get proper directions based on the numbing product that you are using. Again, all of these steps should be done the day of your treatment. Don’t do them the day or night prior to because you will get dirty and the hairs will grow a tiny bit over night.